According to the Los Angeles Times, this house was newly built but the owner hadn't yet moved into it because of construction on the Ventura Freeway, which now runs behind it. If you're a real fan, you may notice that this home looks shorter than the one in The Brady Bunch shows. Set designers attached fake windows on the roof to give the appearance of a second story. 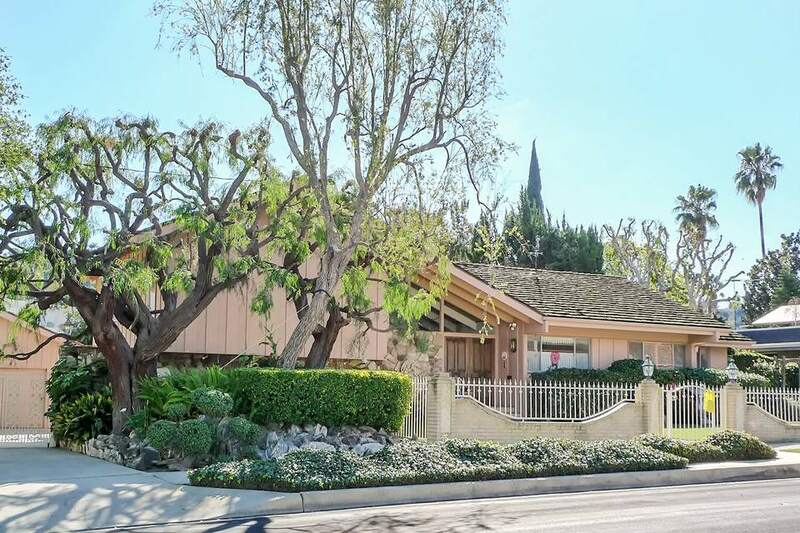 The fence is also new since The Brady Bunch was filmed, added when the owner grew frustrated with rude people walking up and peering into her living room. The house made its debut in the second episode of The Brady Bunch and appeared in almost every one of the 115 episodes that ensued. The Brady Bunch house is located at 11222 Dilling Street in North Hollywood. The Brothers & Sisters house is the home of Nora Walker (Sally Field) in the ABC series. It's located in a lovely Pasadena neighborhood at 1640 Lombardy Road, near the Langham Huntington Hotel. Brothers & Sisters premiered in 2006, a story about a California family who own the fictional Ojai Foods company. Sally Field won an Emmy for Outstanding Lead Actress in a Drama Series for her role in the show. The Brothers & Sisters house is a private residence, not a tourist attraction. Please behave the same way you'd want people to act around your own house. Don't disturb its occupants, knock on the door, peer in their windows or take souvenirs. 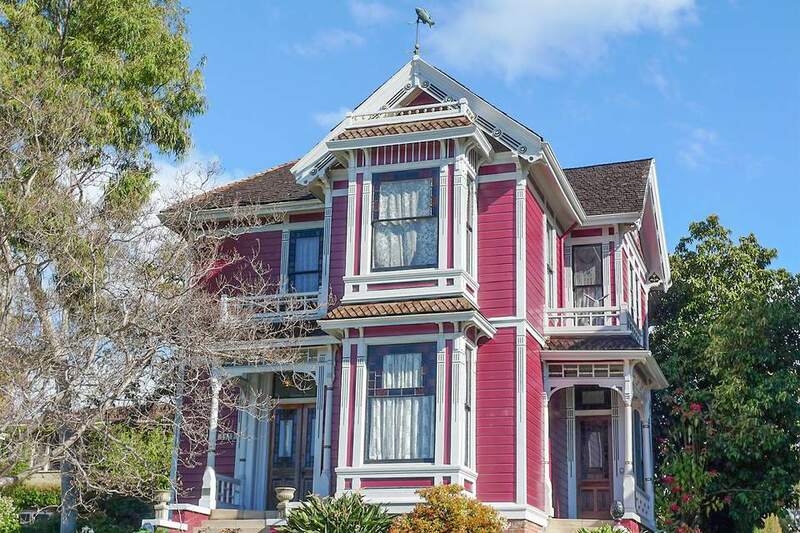 The show is set in San Francisco which has plenty of great Victorian-style houses, but the Charmed House is actually in Los Angeles. The home of the Halliwell family in the television series is located at 1329 Carroll, near Dodger Stadium in a neighborhood of similar houses. According to the series, the Charmed house was built in 1898, which may be close, according to a historic plaque mounted across the street. The Charmed house is a private residence, not a tourist attraction. Please behave the same way you'd want people to act around your own house. Don't disturb its occupants, knock on the door, peer in their windows or take souvenirs. The reincarnation thriller Dead Again was directed by Kenneth Branagh and starred Emma Thompson. The film features several Los Angeles locations, but the climax was filmed at here, where the story's star Grace lives in the apartment complex. The Dead Again "house" is on High Tower Drive, off Camrose Drive west of Highland Avenue. The closest you can get by automobile to the Dead Again house is the dead end street below. The tower houses an elevator that carries residents to their homes. The Dead Again house is a private residence, not a tourist attraction. Please behave the same way you'd want people to act around your own house. Don't disturb its occupants, knock on the door, peer in their windows or take souvenirs. Used in both the original 1991 and the 1995 sequel of the film Father of the Bride, starring Steve Martin, the Father of the Bride house still looks like it did in the films. While Martin's character claims he lives in San Marino, the Father of the Bride house is actually located in Pasadena at 843 S. El Molino Avenue. According to iamnostalker.com, the filmmakers had to fix up the Father of the Bride house before they started shooting. The Father of the Bride house is a private residence, not a tourist attraction. Please behave the same way you'd want people to act around your own house. Don't disturb its occupants, knock on the door, peer in their windows or take souvenirs. The Happy Days house was the home of the fictional Cunningham family in the sitcom filmed from 1974 to 1984. You won't find the porch swing or Fonzie's motorcycle parked on the front lawn, but, otherwise, the Happy Days house looks much the same as it did. You may find a private security guard driving around the neighborhood, though. The Happy Days house is at 565 North Cahuenga Boulevard. The Happy Days house is a private residence, not a tourist attraction. Please behave the same way you'd want people to act around your own house. Don't disturb its occupants, knock on the door, peer in their windows or take souvenirs. The Leave it to Beaver house may look eerily familiar. Located on the Universal Studios backlot, it's been featured in many television programs and movies. These days, it's one of the houses on Wisteria Lane in the popular television show Desperate Housewives. The Thompson residence in the 1984 film A Nightmare on Elm Street is located in Hollywood at 1428 Genessee Avenue. The Nightmare on Elm Street house is a private residence, not a tourist attraction. Please behave the same way you'd want people to act around your own house. Don't disturb its occupants, knock on the door, peer in their windows or take souvenirs. The Six Feet Under house, home of the Fisher and Sons Funeral Home in the HBO series, is located in the West Adams Historic District, south of I-10 at 2302 West 25th Street, even though it was allegedly in North Hollywood. Just imagine that lime-green hearse in the driveway. The Six Feet Under house is a private residence, not a tourist attraction. Please behave the same way you'd want people to act around your own house. Don't disturb its occupants, knock on the door, peer in their windows or take souvenirs. Used in the famous Michael Jackson video (the scene where Ola Ray seeks refuge from the zombies), the Thriller house is located just next door to the Charmed House at 1345 Carroll, near Dodger Stadium. It doesn't look nearly as scary in the daylight as it did in that darkened scene, does it? The Thriller house is a private residence, not a tourist attraction. Please behave the same way you'd want people to act around your own house. Don't disturb its occupants, knock on the door, peer in their windows or take souvenirs.